Tenerife and, indeed, the Canary Islands holds, throughout the year, a programme of sports car rallies. They take place on public roads, which, naturally, are closed to normal traffic for the duration. 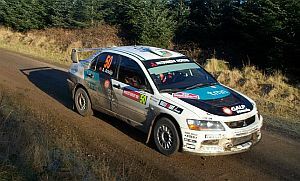 All rallying in Tenerife is organised and officiated by the Federacion Interinsular de Automovilismo de Santa Cruz de Tenerife, or "Tenerife Interisland Federation of Motoring". 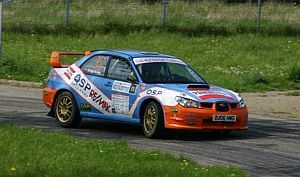 The rallies are subdivided into three groups: basic rallies, hill climbs (against the clock) and slaloms. Five separate events in Arico. The hill climb at Tamaimo (or Subida a Tamaimo) is one of the most popular events, with many spectators gathering along the route. It happens to be an event with which I am somewhat familiar, having once worked at a venue situated about halfway along it. I've actually driven this hill climb myself, on my way to work and I can tell you, its twists and turns are unbelievable! The rally cars tear up this route at ridiculous speeds, to the delight of the watching crowds. The rallying competition also extends to include neighbouring islands, including Gran Canaria and El Hierro and there is a Championship Trophy awarded.